Sell your Tesla the fast, safe and fair way with We Buy Any Car. Don’t spend time and money trying to sell privately or stress out over the high-pressure negotiations dealerships put you through. At We Buy Any Car we make selling as easy as 1, 2, 3. First get your Tesla’s free online valuation. After receiving your instant valuation, book an appointment at one of our car buying centers. Finally, in as little as thirty minutes we’ll inspect your Tesla and send you on your way with a check you can cash or deposit immediately. Tesla Motors is an automaker that solely designs and manufacturers electric vehicles. 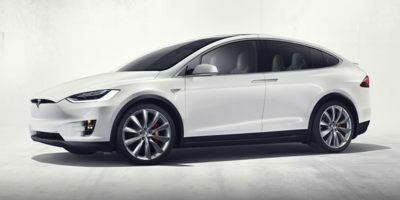 As of summer 2015 the vehicle manufacturer only boasts one vehicle in its active lineup, the Model S. The automaker plans to expand their line up to include two new vehicles in the near future, the Model X and the Model 3. While the vehicle may be cutting edge, Tesla’s business strategy is ahead of its time. Tesla operates stores in malls and other local shopping centers and does not sell through dealerships. Tesla’s direct to consumer sales strategy is a significant departure from the standard dealership model currently dominating the U.S. vehicle marketplace.